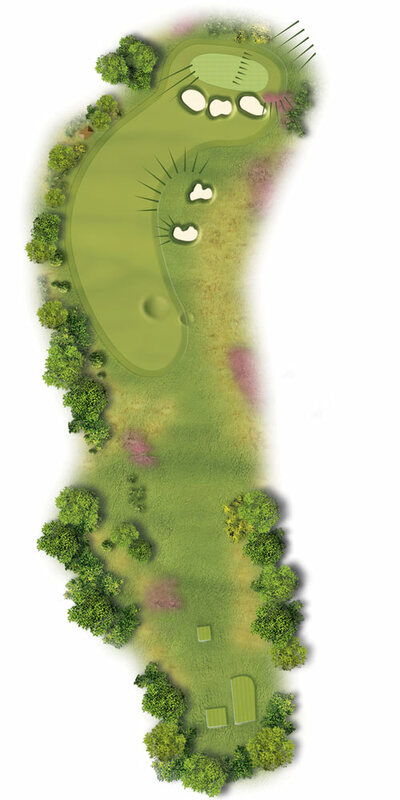 A beautiful short par four requiring a long iron/fairway wood followed by a pitch to a small elevated green. Longer hitters may fire a driver to go in the large front greenside bunkers and take their chances from there. A real risk reward hole. A tee shot aimed towards the hut is ideal. Make sure you take enough club to carry the cavernous greenside bunkers – but try to avoid going past the pin otherwise a treacherous putt awaits.